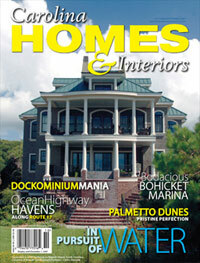 "The Nantucket-inspired exteriors feature large porches, elevating nature to center stage. Homes are located on the fifth and sixth fairways of the club's Rees Jones-designed golf course or back up to wooded, saltwater marshes for the ultimate in privacy." In beautiful Charleston National Country Club, "As you like it" refers to more than a Shakespearean play. At The Retreat, a community of 130 custom town homes, it means you design your living space to suit your personality and needs. Just a 20-minute drive from historic downtown Charleston and 10 minutes from the pristine beaches of Isle of Palms, the Retreat excels both in flexibility of design and location. "The homes are being built by one of Charleston's premier custom home builders, and they're not intimidated by floor plan variations or special requests," says Becky Morrissey, marketing representative for The Retreat. "The maintenance-free lifestyle at The Retreat appeals to those looking to simplify their lives to allow more time for travel and leisure and those looking for a second home in a resort community. Consequently, many of our owners have previously designed luxury single-family homes and are accustomed to fine interior appointments and options not typically found in town home communities." The Retreat offers flexible floor plans and nearly every conceivable optional feature and upgrade. Owners especially love the "as-you-like-it" area, which can be configured as a formal dining room, home office, third bedroom with full bath or something else entirely. Additionally, a variety of optional features are available to further personalize the homes, including three-stop elevators, custom cabinetry, butler's pantries, gas-log fireplaces, granite counter tops, hardwood floors and up to two 10 x19-foot sun rooms. The extensive list of standard features includes two-car garages, zoned fire suppression systems, expansive covered porches off the gathering room and master retreat, 9-foot smooth ceilings and soaking tubs. "There are so many choices that no two town homes we've built are exactly the same," Morrissey says. The Nantucket-inspired exteriors feature large porches, elevating nature to center stage. 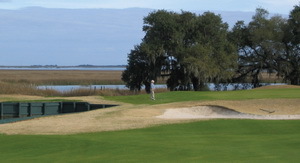 Homes are located on the fifth and sixth fairways of the club's Rees Jones-designed golf course or back up to wooded, saltwater marshes for the ultimate in privacy. "Ownership in The Retreat represents a lifestyle choice," says Morrissey. The low monthly regime fee covers exterior maintenance and lawn care, which gives owners ample time to explore Charleston and the surrounding Lowcountry. At home, they enjoy swim and tennis club privileges, and golfers are granted preferred membership packages. The facilities include a clubhouse, driving range, pro shop and putting green. Membership in an on-site fitness center is also available, and nature trails and a 5.5-acre lake provide additional recreational opportunities. The Retreat is just minutes from everything you need, but, when you are home, you'll appreciate the serenity of owning your own personal retreat. Homes range from 1,600 to 2,220 square feet and start at $297,900.